My name is Krystle Able and I am a multigenre author. I also write horror under the pen name A.K. Dickerson with my husband. I was born and still live in central Illinois and work as a freelance writer full time while also going to U of I to finish my BA in English. When I am not writing or working on school, all of my time is devoted to my three kids who are 11, 9 and 3. Our three year old is autistic and we are very involved in our local community through programs like SPICE and Marcfirst. Panera, not so much a good but I love their Plum Hibiscus tea. 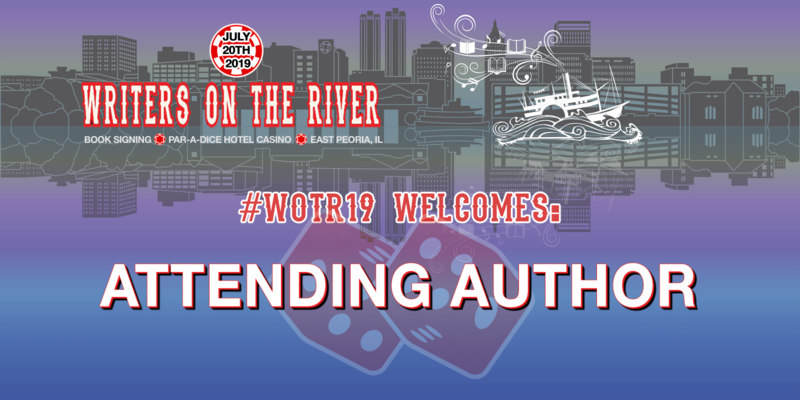 I am attending my first signing in May as an Author and WOTR will be my second! I have been several times as a reader however and my favorite thing would have to be just getting together with a room full of people who all love reading as much as I do. When you go to a signing event, you have something in common with every single person around you, it’s impossible to feel alone. I am co-writing with RL Weeks this year which I am very excited about. This happened yesterday! A former professor of mine from ICC and a fellow horror author left an amazing review of my debut horror story and it made me feel validated for the first time, like, ok, maybe my writing is pretty ok after all!